From today through November 1, my novella Dreadedin Chronicles: The Nameless City will be free through Amazon. Combining themes of Lovecraftian horror, ancient evil, teenage angst, and zombies, it’s a short, punchy read that takes place at this time of year: Halloween! In it, high school sophomore Paige Ashton and college freshman Ryan Kincaid face a terrible horror that seeks to not only consume their town, but the entire world. The supporting characters were taken from local teen volunteers, and takes place in Dunedin, Florida, home town of Henry S. Whitehead, a horror author and friend of H.P. Lovecraft himself. I guarantee at least one hour’s worth of horrific entertainment with every copy, or your money back! How many YA, PG, non-PC Lovecraftian novellas are you going to read this year? Pick up your copy today! Happy Halloween! From its pagan origins to its crass commercialism, it’s a great holiday for both kids and adults. Think of how strange it is: children dress up in costumes and go door-to-door demanding candy from strangers. A kind of forced fellowship with one’s neighbors until November 1, when we can go back to politely ignoring each other. I love it. Breadhead Friday’s canceled because of Halloween and the nasty cold I’ve gotten as a Samhain present from my little boy. I’m at that apex state of the cold where my head’s full of stuff and everything tastes terrible and I feel like hell, but it’s Halloween, so I’ll eat a lot of chocolate, not taste it, and put up the last few decorations outside. We’re going with a skull and skeletons theme this year. Like all horror anthology films, this one was a mixed bag. It was entertaining for the most part, and had some particularly creepy moments. The unifying plot (Tape 56) of getting some secret VHS tape from the old man was kind of silly, though. It could have been done better. The best segment was Amateur Night: nothing in it was terribly unexpected, but it was done well, and had some horrifying moments. Second Honeymoon had two particularly disturbing moments that saved it from its pedestrian execution. Tuesday the 17th tried to turn the typical slasher theme on its head and utterly failed: it was easily the weakest of the segments. The Sick Thing That Happened to Emily When She Was Younger tried too hard to create a twist ending and ended up overcomplicating itself, but was pretty watchable. 10/31/98 was good: the characters were realistic, the situations were frightening. 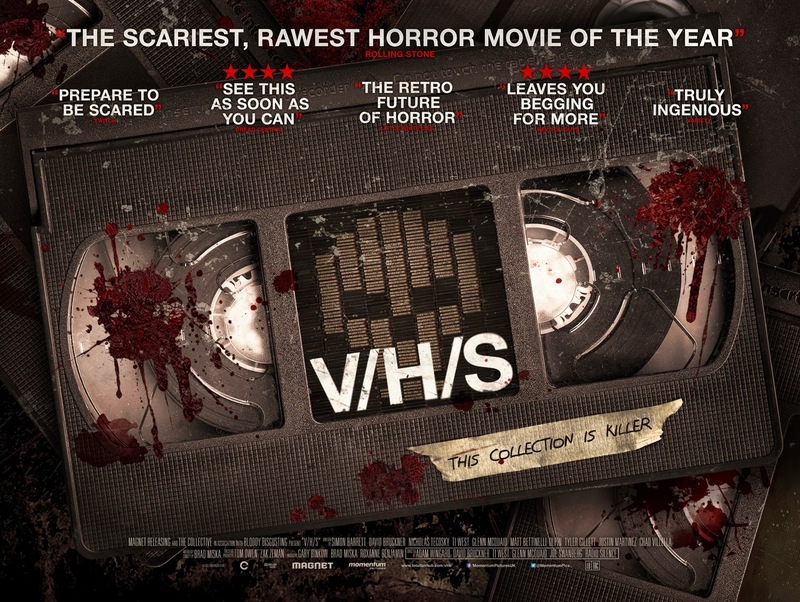 Overall, V/H/S/ is worth a watch. I watched the first two episodes at my wife’s request so we could watch the rest together. I quite like it. There’re some story elements that have so far elevated it above standard vampire/werewolf tropes. Lili Taylor isn’t annoying, but Famke Janssen’s English accent is. I’m looking forward to the remaining episodes, once this rhinovirus lets me stay up past eight. Oh, I almost forgot. Dreadedin Chronicles: The Nameless City is still free until tomorrow, so get it while supplies last. Free shipping! Thrills don’t get cheaper than this. 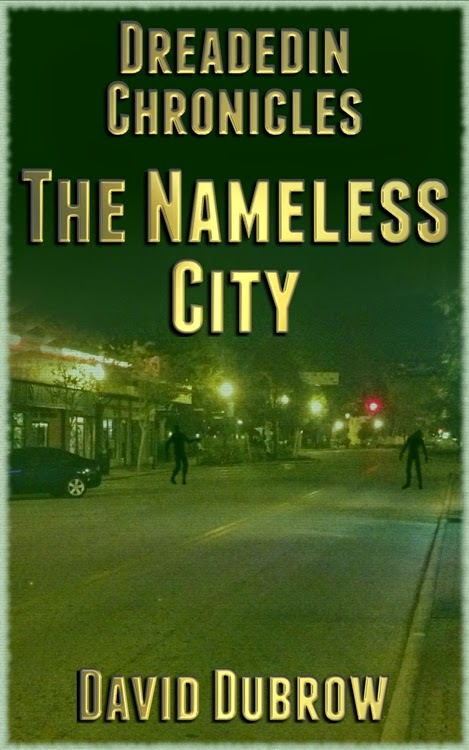 I’m pleased to announce that my new novella, Dreadedin Chronicles: The Nameless City has just been published and is available as an e-book on Amazon.com. It’s a novella aimed at a Young Adult (YA) audience, written in cooperation with the Dunedin Public Library. The story takes place in and around the city of Dunedin (pronounced “dun-EE-din”), Florida. Most of the novel’s supporting characters are based on local teen volunteers. A limited edition print run will make the book available for borrowing from the Dunedin Public Library in November 2014. Paige Ashton is an ordinary teenager just trying to get through high school. Friendless, she’s socially invisible until bizarre occurrences put her in the spotlight. When disaster strikes on Halloween, why is everyone looking for her? College freshman Ryan Kincaid is living a lie: he pretends to go to class but hangs out and drinks with his friends instead. He’s never had to work for anything in his life, so how is he going to save his family from a fate worse than death? Soon, they’ll have to face cannibal zombies, a horrible sleeping sickness, and an ancient evil hundreds of millions of years old, with the fate of the world hanging in the balance. The text includes some Lovecraftian themes, including research using forbidden tomes like the Pnakotic Manuscripts, inhuman civilizations that existed millions of years before our own, and terms like “cyclopean.” At 99 cents, it’s practically a steal! The novella is finished editing and has gone on to formatting. Once again, I’ve used Mark Coker’s Smashwords Style Guide, which is an excellent resource on formatting documents into ebooks. It’s a somewhat lengthy process, but the results are worth it. I trained myself to use GIMP to create a cover for the novella. GIMP is powerful, easy to use, and free. Luckily, I have some experience using Photoshop, so GIMP wasn’t terribly difficult to learn. The cover photo was taken by me at 4:30 AM in downtown Dunedin. Everyone says that unless you’re a graphic artist, you shouldn’t do your own book covers. That’s mostly true. However, I have done professional graphic art and have experience designing both book and video covers. The cover for Dreadedin Chronicles: The Nameless City is good and captures the feel and look of what I’d imagined. I changed the look of this blog. I practiced baking bread in a dutch oven. The results have been good, but I want them to be great, so I continue to work at it. 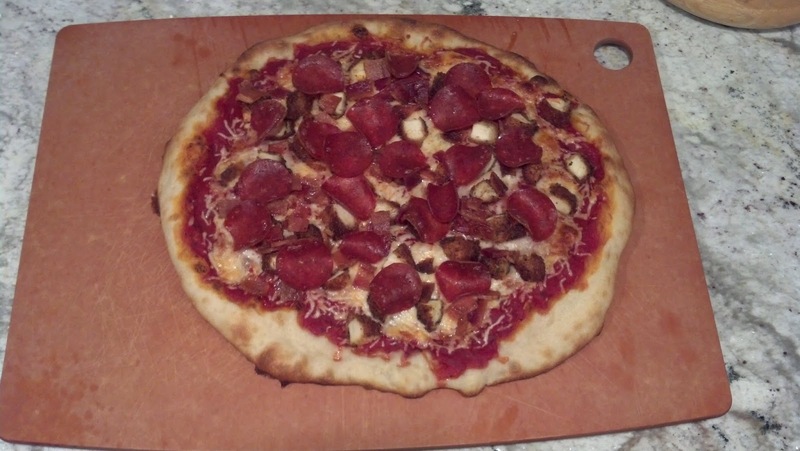 With all that in mind, here are some pizzas I have made over the last few months. This does not represent all of the pizzas; only the ones I remembered to take photos of. 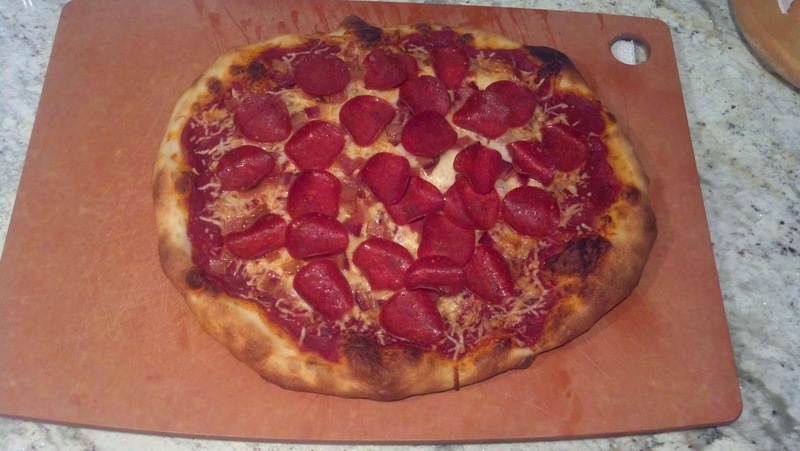 Obviously, my family is keeping the turkey pepperoni industry afloat. It’s a heavy task, but someone has to do it. 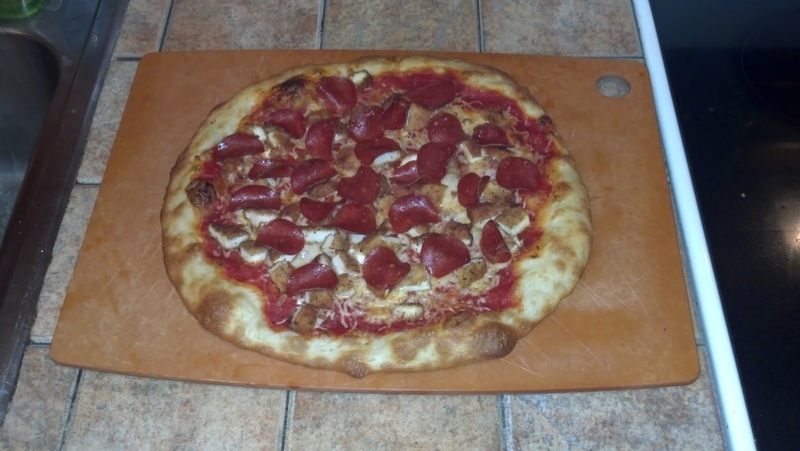 A chicken and bacon pizza is about as good as it gets, especially if it’s chicken parm. 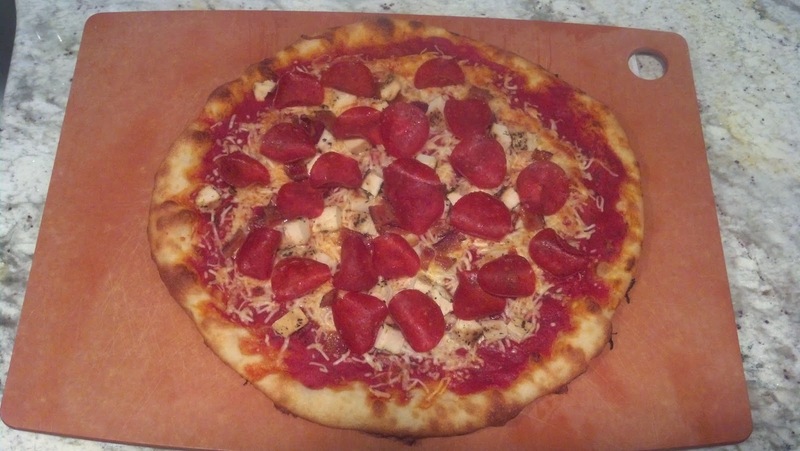 For the sloppy joe pizza, things went in a different but delicious direction: I added some leftover sloppy joes I’d made to the sauce, which gave it some extra protein and diced peppers. 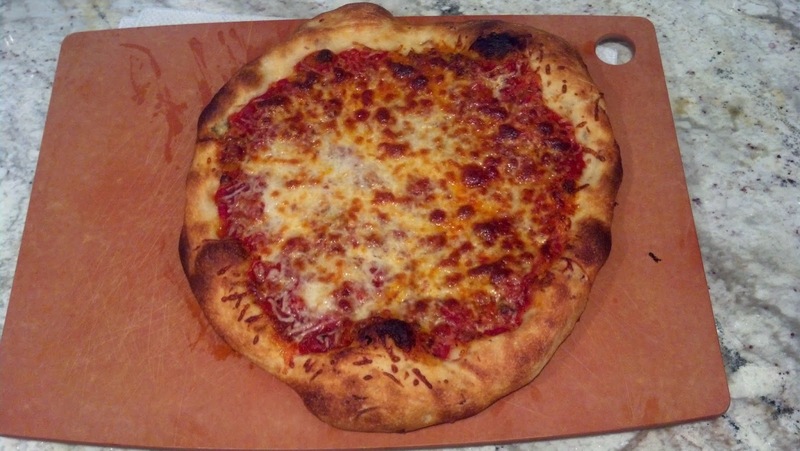 The crust is also different: I used leftover lean dough from a dutch oven boule I’d made earlier in the week. It’s an experiment that’s well worth repeating. And just so we don’t seem like pigs here, a green salad always precedes pizza, I call it a “kitchen sink” salad because I add diced apples, strawberries, blueberries, jicama, and papaya to the typical greens, carrots, radishes, cucumbers, peapods, etc. It’s become such a habit that our three-year-old naturally expects a salad before pizza. Go figure. A few years ago, I was fortunate enough to work with firearms expert Phil Motzer on a number of instructional videos, including Combat Handgun, arguably the best primer on using a semi-automatic pistol for personal defense available. Not long after our professional relationship ended, his wife asked if I might participate in the first Fredericksburg Zombie Walk, a charity event. I was unable to attend, but I did send a number of autographed copies of The Ultimate Guide to Surviving a Zombie Apocalypse. I’ve done so for every Fredericksburg Zombie Walk since. 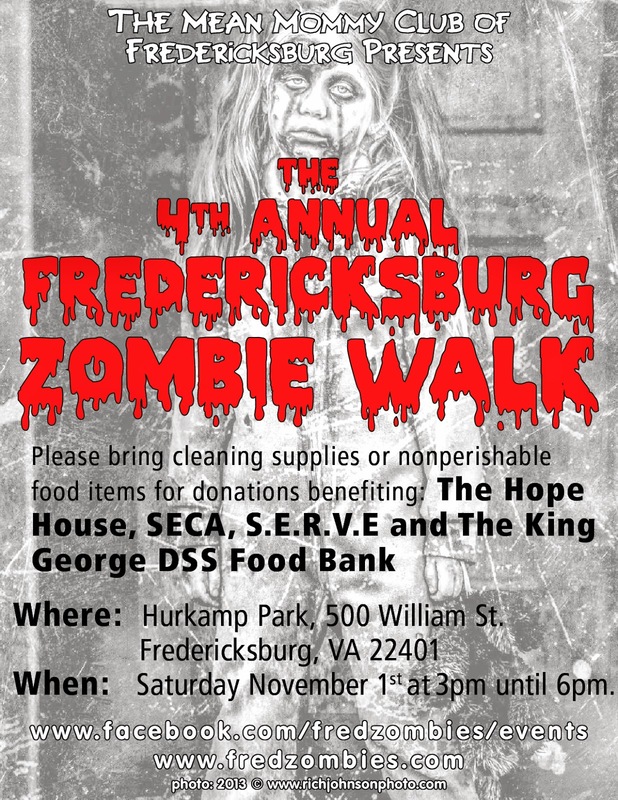 This year’s Fredericksburg Zombie Walk will be held on Saturday November 1, 2014 at Hurkamp Park, 500 William Street, Fredericksburg VA 22401, from 3:00 pm to 6:00 pm. Please bring a non-perishable food item, cleaning supplies, or a charitable donation. There’ll be prizes and contests and all sorts of fun. Paige Ashton is an ordinary teenager, just trying to get through high school. Friendless, she’s socially invisible until bizarre occurrences put her in the spotlight. When disaster strikes on Halloween, why is everyone looking for her? The story will take place in a fictionalized version of the town of Dunedin, Florida, and most of the supporting characters have been taken from local teen volunteers who filled out a questionnaire provided by the Dunedin Public Library.